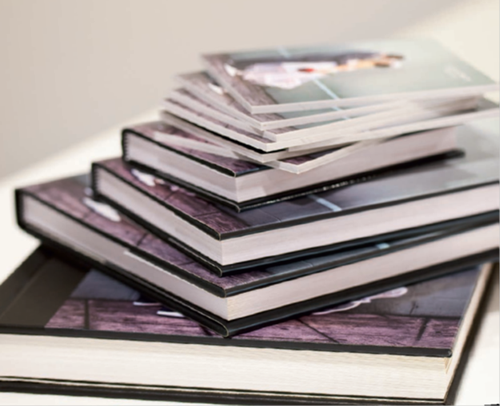 ​My wedding albums are available in several sizes and linen, leatherette and genuine leather* covers. The albums on display are a sample of my most popular range. It is possible to produce any type of album in any type of format, with varying costs depending on the specification. If you want to know more details be sure to ask at our first meeting. Smaller duplicates can be ordered at the same time as your digital album, with no need to redesign. ​These books are produced from the same artwork as your digital album.